Few commercial UAV operations would be able to inspect transmissions lines, pipelines or train tracks without beyond visual line-of-sight (BVLOS) capability, but these key pieces of infrastructure often situate close to or transit across population centers. Further, many population centers have airports and low-level air traffic. Any tools to keep drones away from air traffic during BVLOS operations will significantly inspection companies. We review three promising solutions here. Kongsberg Geospatial in Ottawa, Canada has developed location visualization software tools that are used for air-traffic control, command and control, and air defense applications. The company has several decades of experience in these applications. Its IRIS software was used to support recent UAV oil pipeline inspection operations in Nigeria, providing safety critical airspace deconfliction, supervised by the Nigerian Civil Aviation Authority (NCAA). 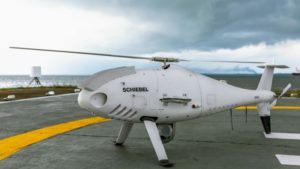 The pipeline project was undertaken by Aerial Robotix, a UAS services provider in Nigeria, who used adapted Kongsberg software in its control center to demonstrate safe BVLOS operations, and was then able to obtain the necessary permits. 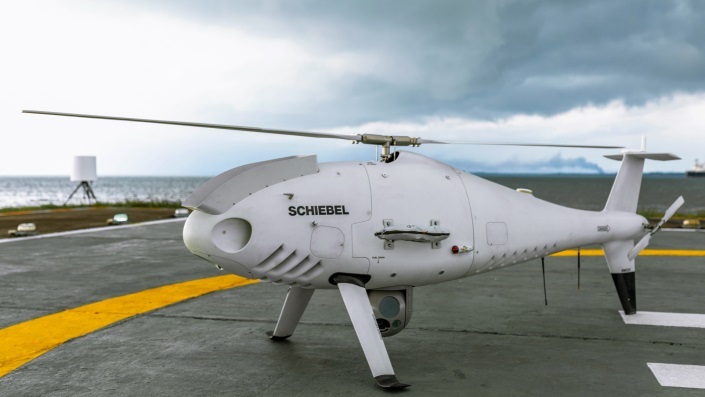 A Schiebel Camcopter S-100 UAV with a 200-kilometer BVLOS capability was used for flight inspection, operating both day and night, with real time high-definition payload imagery sent back to the control station. Nigeria has a major problem with gasoline theft from pipelines similar to those lines inspected during this project. Recently, 105 people perished in a blast from a ruptured pipe 30 miles north of the city of Umuahia, possibly during scavenging for leaking fuel. It has been claimed that the pipeline had been ruptured by saboteurs earlier, and for the following six weeks villagers had been collecting fuel. Pipeline vandalism is common in Nigeria, even given the risk of fire or explosion, or the risk of prosecution, or even the possibility of being shot on sight. Boeing just unveiled a concept UAV which is apparently aimed at providing an airborne team-partner for manned aircraft. The concept was introduced at the Australian International Airshow by the Australian Minister for Defense, the Hon. Christopher Pyne MP. 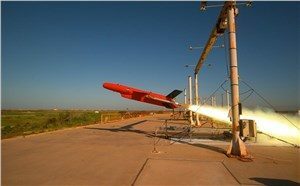 The project is slated for a significant R&D investment by the Australian Government and Boeing Australia. 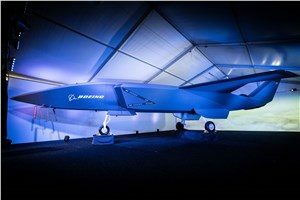 The concept model has fighter aircraft lines with a projected 2,000-mile range, autonomous capability, and significant intelligence, surveillance and reconnaissance sensor capability. Flying alongside manned fighter/attack aircraft with artificial intelligence simplifying control, the Airpower Teaming System is designed as a low-cost force multiplier. The concept includes a pitch for international collaboration offering significant customization so countries can add local content, a key element for any aircraft program designed for off-shore sales. A day or so after the Airshow (maybe not wanting to be upstaged by Boeing’s announcement?) a release showed up about the first flight of the previously secret XQ-58A Valkyrie demonstrator. 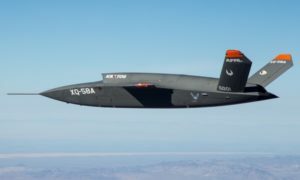 This is apparently a program by the US Air Force Research Laboratory (AFRL) partnered with Kratos Unmanned Aerial Systems to develop a UAS which looks to have very similar capabilities to that of the Boeing concept, perhaps at a significantly further advanced stage, with a much more mil-spec UAV sounding name. The AFRL indicated that the XQ-58A is part of a Low Cost Attritable Aircraft Technology (LCAAT) (guess that means they don’t much mind losing a few) effort to come up with low-cost force multipliers which can be built quickly using commercial technology and operating from unprepared runways. The current program took 2½ years to get to this flying prototype, which still seems pretty lengthy in terms of today’s commercial UAVs. The first flight from Yuma Proving Grounds in Arizona lasted an hour and a quarter and all went as expected. Five test flights are planned to check out functionality, aerodynamics, and launch and recovery systems. Kratos is perhaps better known for its family of target drones which have been in use by the US and internationally for some time. Recent testing of the descent rate of a Phantom 4 equipped with a SafeAir parachute system indicated that this UAV/parachute combination may well meet the FAA’s recently published draft rules for flight over people. The parachute system uses on-board indicators to trigger parachute deployment. ParaZero (manufacturer of the SafeAir UAV parachute system) has developed standards, and promises to provide customers with certification data to support waiver applications for flight over people. 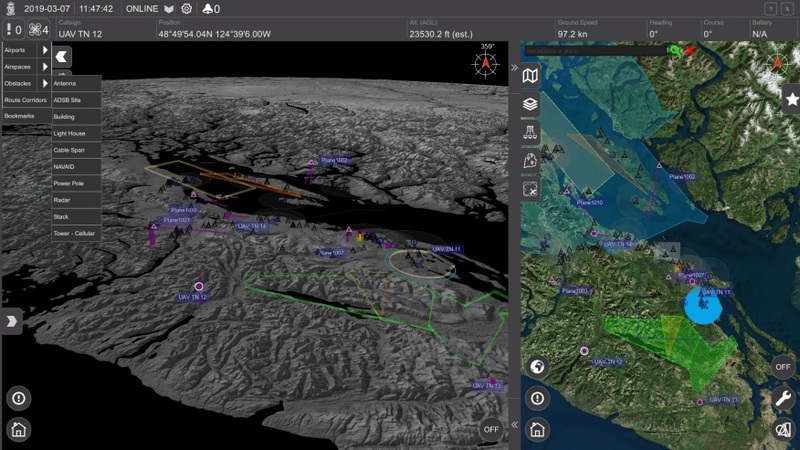 So now we have intuitive software using terrain data and sensor inputs which can provide a visual overlay to supports BVLOS flights, concepts designs and prototypes to support the ‘Loyal Wingman’ approach – flying UAVs alongside existing defense aircraft as force multipliers – and advances towards UAV flight over people using certified parachute safety systems. Just a flavor of the flurry of recent new developments in the world of unmanned aircraft.